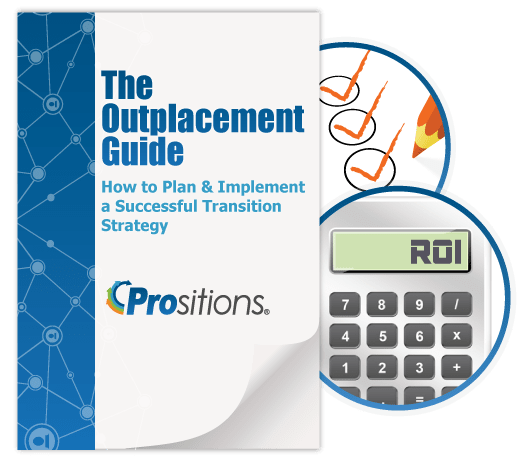 OutplacementPro – The leaders in outplacement and transition. Our packages are tailored to your unique situation and feature an individualized approach uncommon in today’s market. Your candidates will choose how they spend their time to maximize results. The online software features job search engines that update daily, automated resume creation, and submission tools. The interface is intuitive and wizard driven, making it easy to use. No training required. When we had to reorganize we did not have an adequate HR staff to handle our needs. Prositions helped us by mapping out a strategy, consulting with our leadership team, training our managers and finally assisting with the actual event. They then took over with their program, and the feedback from our former employees has been excellent. We now have their “e-transition” system as a part of our talent management capability and it is working extremely well. The Pro in their name says it all. Thank you and your company for helping our employees to get back on their feet quickly and helping them feel good about themselves. Everyone I’ve talked with is very encouraged by your efforts and confident that with the help of Prositions, new doors will open for them in the near future. I am very happy that we selected Prositions as our partner! Keep up your great work!! Very much appreciated. I cannot say enough about Prositions outplacement coaching and services. They are the next generation in outplacement. Prositions reshaped my resume, showed me the value and importance of social media marketing (LinkedIn). The conference calls and online work sessions prepared me for today’s job search environment. Top search firms started responding soon after they completed my updated profile. Prositions is truly a value added and effective outplacement service.